LOS ANGELES, Calif. /California Newswire/ — Recently, message recovery has been a hot topic among iPhone and Android users. 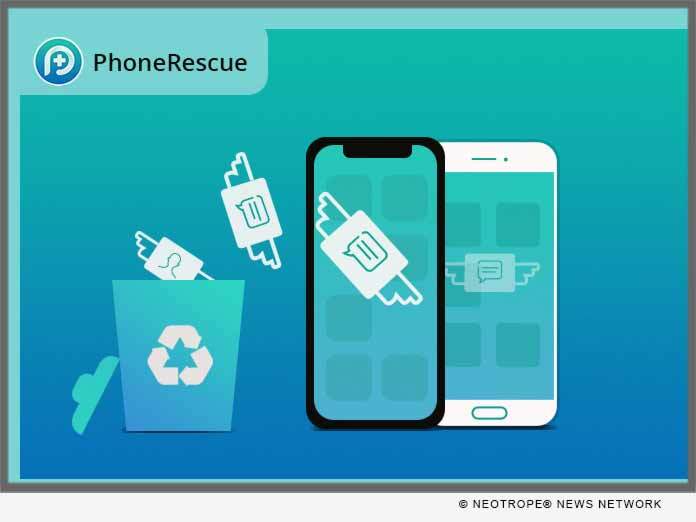 Aiming to address people’s concerns about data loss, iMobie Inc., a leading software company, introduces PhoneRescue that can retrieve lost messages and many other important data directly to iPhone and Android phone, even without a backup. With the world’s top data recovery success rate, it has successfully saved over 5,700,000 iOS and Android users from data disasters. Under the help of PhoneRescue, the retrieval of lost data is a piece of cake. We all know that backing up data regularly is important, but some accidents happen too fast before we can save our data. Fortunately, PhoneRescue is able to find the deleted messages and get them back even without a backup. Armed with the best technologies, PhoneRescue enjoys an extremely high success rate. It is like a “regret medicine” that can fix your mistakes. PhoneRescue allows users to preview the deleted data and select those that really matter to recover. You don’t have to wait a long time to recover all the deleted messages and then re-delete those useless ones after restore. This is not only timesaving, but can also save a lot of phone storage. Apart from saving the retrieved messages to computer, PhoneRescue also enables you to restore messages to your iPhone or Android phone directly, without overwriting any original data on the phone. In this way, you will be able to view and reuse all the recovered messages instantly. PhoneRescue is able to recover not just messages, but also many other important iOS and Android data, such as contacts, photos, videos, call logs, calendars and so on. After years of development, it can now retrieve up to 31 types of data; a number that surpasses its competitors. Generally speaking, PhoneRescue can recover almost all the data that you cherish. iMobie Inc. is an advanced software developer dedicated to making the digital life simpler for all iOS and Android users worldwide. For more information, visit https://www.imobie.com/.